This entry was posted on June 21, 2015 at 7:47 am and is filed under Absent friends, Arts & letters, Comedy, Satire. You can follow any responses to this entry through the RSS 2.0 feed. You can leave a response, or trackback from your own site. 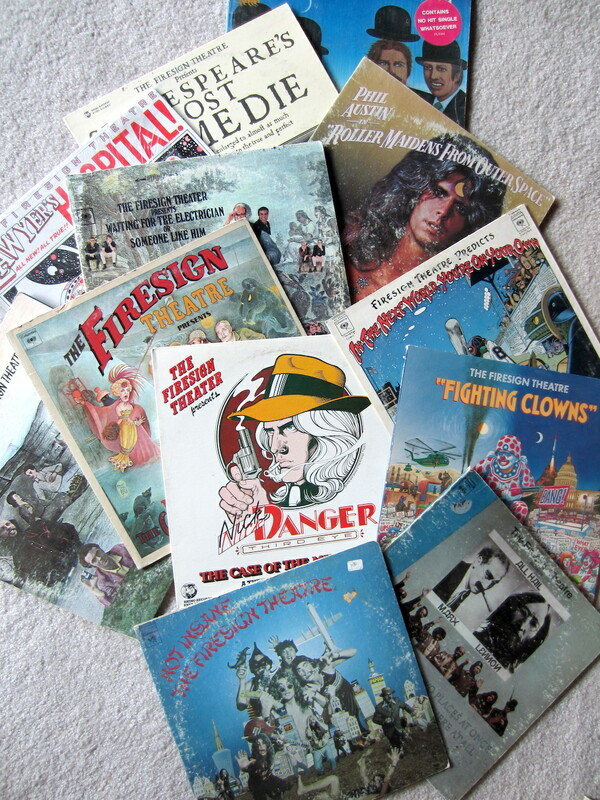 I was introduced to Firesign by my wife while we were dating in college. To be, they were the American equivalent to Monty Python. I’ll have to break the news to her today, maybe we will fire up the old turntable for a memorial listen. Thankfully, we will always have Betty Jo Bialosky. Or is it Bialofsky? I never had the chance to check her ID. Oh, you mean Nancy! She’s in the aviary, studying trees. Sad indeed. I have fond memories of Firesign from my previous life. Sadly, their style of comedy seems to be lost on today’s Youth. My kids have no patience for it. Thanks for sharing. I guess Phill is upstairs helping Porcelain make the bed. He’s so good with the servants, Fred. It’s tough to lose a piece of personal history even if you know you can still listen to his work. KUNM was playing some Firesign last night on the Doctor’s Psychedelic Radio Head~Shoppe. Did not catch the significance. Bummer, as another one of my role models heads West. Its tough listening to Firesign without proper chemical enhancement, but they are still great. Someday…. Had to ride back from the Jemez on a two speed today, as my rear shifter locked up. I took it apart back at the ranch here and found a strand of the shifter cable had failed and wrapped itself around the shifter bits and jammed up the cable housing. Drat. I think I got it right on the replacement, but does anyone out there (Larry?) have a URL for routing a new rear shifter cable through the Chorus brake/shift gizmo? It seems intuitive, which is what worries me. Eh khal? That ought to be campy 101 for anyone that rides it. Feel free to email me through Patrick if you’re still baffled. I’ll holler if it doesn’t work. It’s frightening how much of an effect those boys had on my life. i don’t know about you, but I’m heading down to Ralph’s Spoilsport Motors to pick up a new ride. Sigh. Sad news. I was such a Firesign fan that my nickname in HS was ‘Tirebiter’. And thank you Patrick you have cause my first ever interaction with Siri.